We Provide The Best Mixing Desk Consoles. We have a selection of analogue mixing desks for hire and have recently updated our hire inventory with some digital models. Mixing desk console hire in and around London and the South East of England. 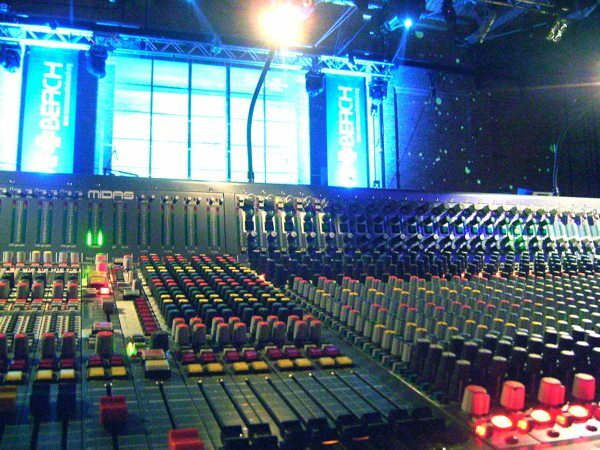 If you are unsure which mixing desk you require then please get in touch and we can advise you. We can supply anything from a small 12 channel Allen and Heath Z12 desk up to a 40 channel Midas Verona mixing desk. All mixing desk consoles come with a flight case and cables. Digital mixing desks available on request. We stock many makes of original Midas analogue mixers such as Venices, Veronas and Siennas. All mixing desks are PAT tested every year and certificated can be provided on request.